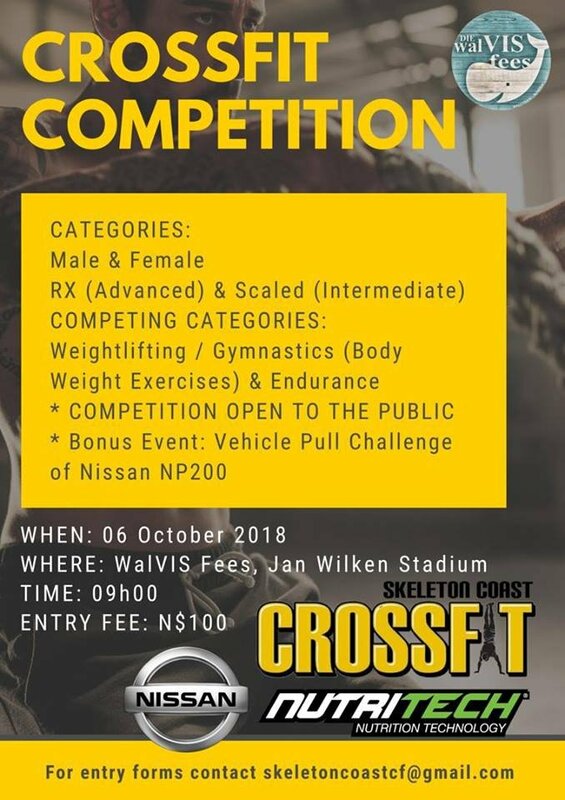 This year Skeleton Coast CrossFit is hosting a CrossFit Competition at the annual Walvisfees Walvisbaai. Come and test your fitness levels with great prizes to be won! Workout 1: Heaviest F2OH (Floor to overhead) in 10 minutes using a barbell. Workout 2: AMRAP (as many reps as possible) in 10 minutes of 30 hand release pushups, 20 air squats, 50 burpees. Workout 4: TBA at venue.